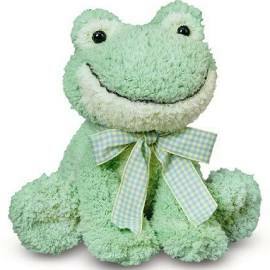 This cute Meadow Medley Frog is super soft and cuddly! Push his tummy and he'll 'croak' at you! The perfect baby shower or birthday gift and comes with free shipping.